1. Tonight Show interview with David November 1964 (2 minutes). 2. Space Oddity performed at the Ivor Novello Awards (4 minutes). 3. Changes promo video (3 minutes). 4. The Image – film made in 1967 – black and white (16 minutes). 5. 1980 Floor Show outtakes – David rehearsing with Amanda Lear and also rehearsing Time (6 minutes).
. 9. 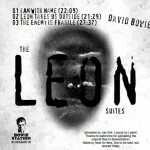 My Death from the Hammersmith Odeon, London, UK featuring spoken intro not in the Ziggy Stardust movie (7 minutes). 10. 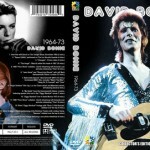 Ziggy Stardust live in Santa Monica 1972 (4 minutes).
. 12. 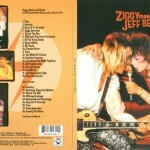 Silent Ziggy footage with Rock n’ Roll Suicide dubbed over the top (4 minutes). 13. 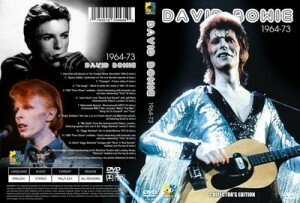 Silent footage of David performing at the Rainbow Theatre with Lindsay Kemp, Starman dubbed over the top (4 minutes). 14. Credits for the footage featuring a rare photo slideshow (4 minutes).